In association with the GFT. When I went to the GFT to see Brigsby Bear, I had no idea what to expect. The film’s brief trailer gave very little away, and so as it began all I knew for certain about Brigsby Bear was that it was about a strange man who adored an 80s style children’s show. Going in, I wasn’t sure what I’d make of it and, when I left the cinema, I still didn’t know what to make of it. The film follows James (Kyle Mooney), who was kidnapped as a baby, after he is rescued and attempts to re-integrate into society. To cope with this sudden life change, he makes a film based on the titular educational children’s show his kidnappers made especially for him. The film has a fairly dark concept, but instead pushes itself as a comedy. Despite this, it isn’t particularly funny, as instead of jokes it relies on a lot of second-hand embarrassment for humour. This means that for a least the first half, Brigsby Bear is extremely awkward. The interactions between James and his family are uncomfortable, as we are never really sure whom we’re supposed to sympathise with. As the film progresses, this awkwardness lessens somewhat, but it never quite goes away. A stand-out part of the film is its production design. It successfully captures the look and feel of a cheaply made 80s children’s show (and I mean that in a good way). The colours and character designs are a joy to look at, and Mark Hamill reminds us of his skill as a voice actor by bringing the bizarre assortment of characters to life. Brigsby Bear is odd and thoughtful, but I’m not quite sure what it’s trying to say. It is unsure whether the film is trying to criticize using nostalgia and pop culture as escapism or supports it. It could have gone much darker, and perhaps examined its themes in more depth, but Brigsby Bear stays lighthearted. 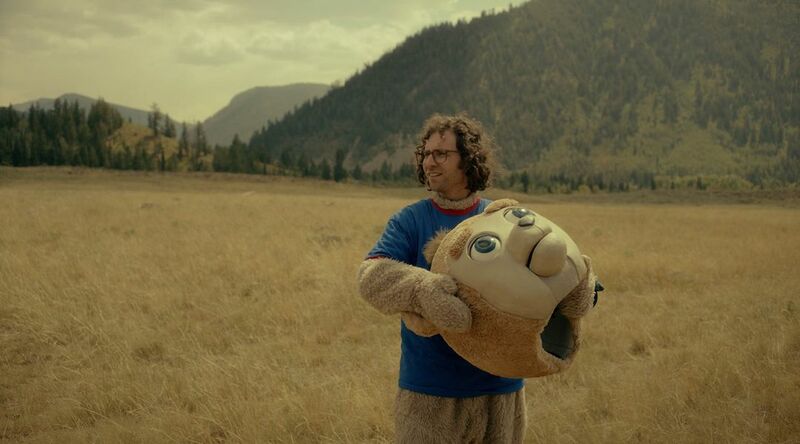 Despite its confusion, Brigsby Bear is still an entertaining piece of escapism, and maybe at the end of the day that’s what films are supposed to do. Brigsby Bear will screen at the GFT until the 14th of December. Tickets are available here. The GFT also offers a free 15-25 discount card for students, available here.